Goulet Notebooks with Tomoé River Paper! 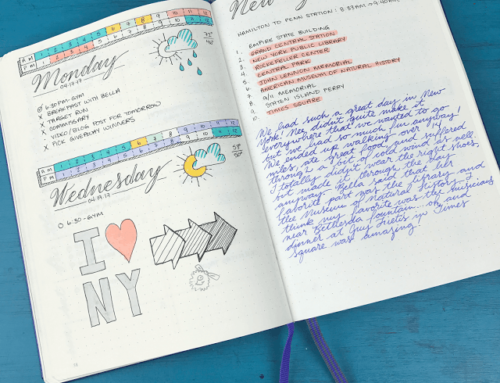 The quest for the perfect notebook to compliment your fountain pens has been arduous. 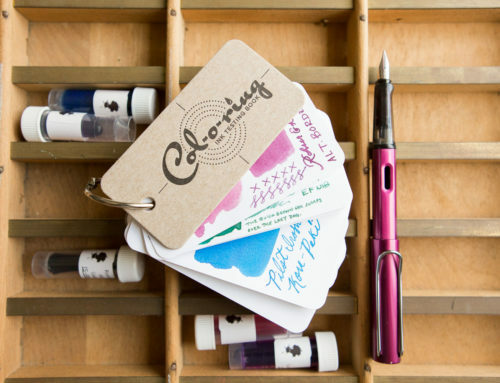 Years of feathering, bleed through, and ghosting have frustrated fountain pen fans. 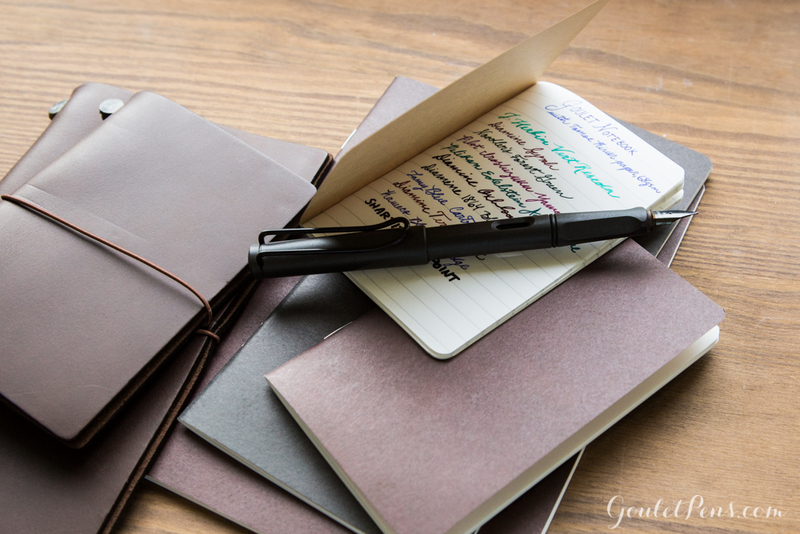 Here at Goulet Pens, we’ve grown our collection of fountain pen friendly notebooks from Rhodia to Clairefontaine to Leuchtturm1917. 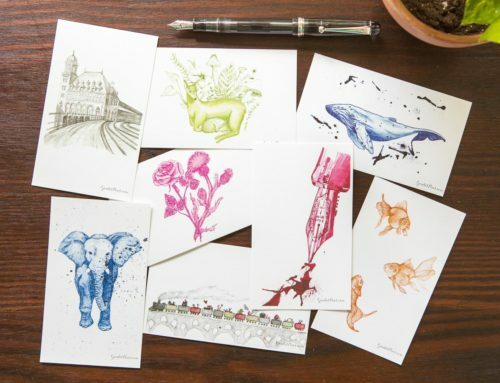 These are all fantastic for different reasons, but we wanted something that offered portability paired with fantastic ink resistant paper, at a reasonable price. 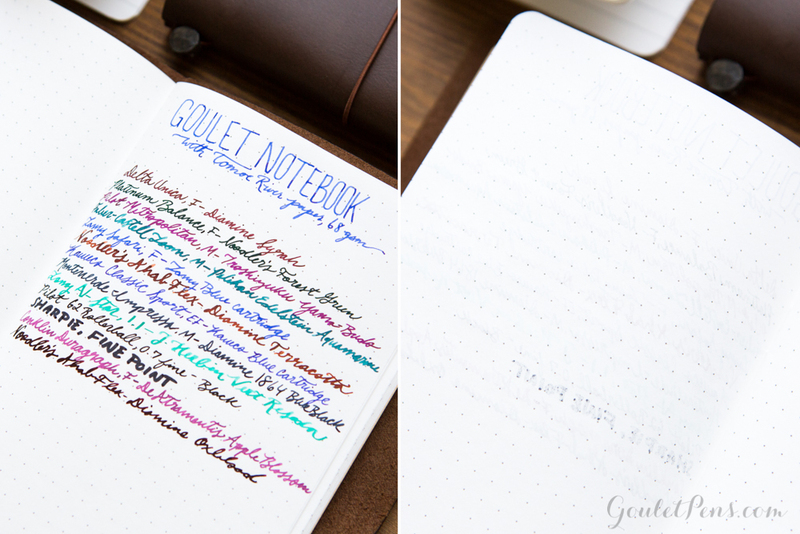 The Goulet Notebook was born! 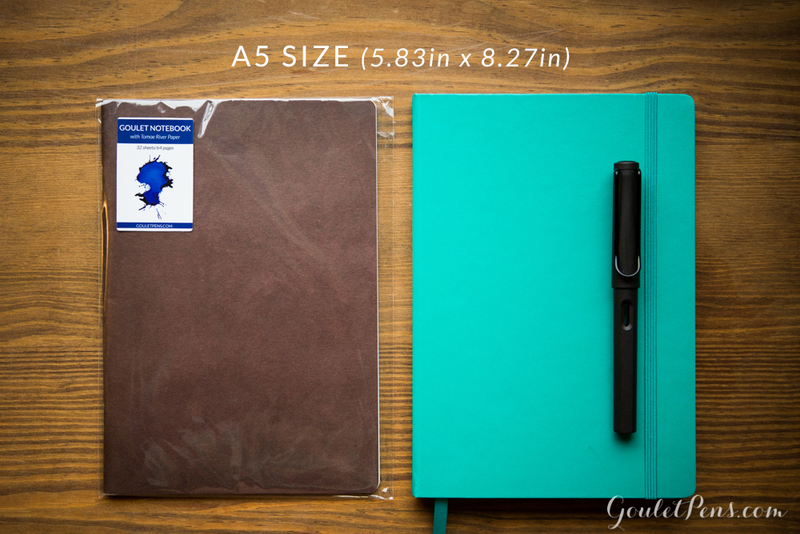 Each Goulet Notebook features 68gsm Tomoé River paper, a bit thicker than the paper of the loose sheets and tablets we carry, and with good reason. 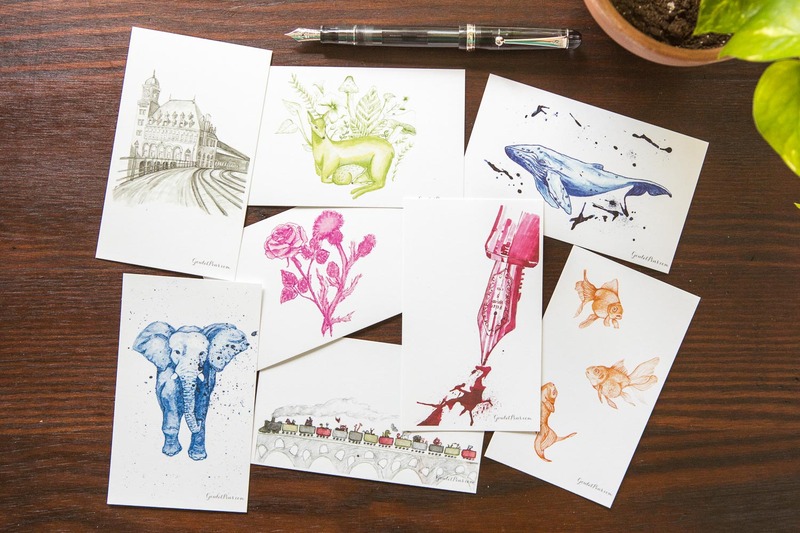 The heavier weight paper cuts down on the ghosting and makes the paper less crinkly than your normal Tomoé River paper. 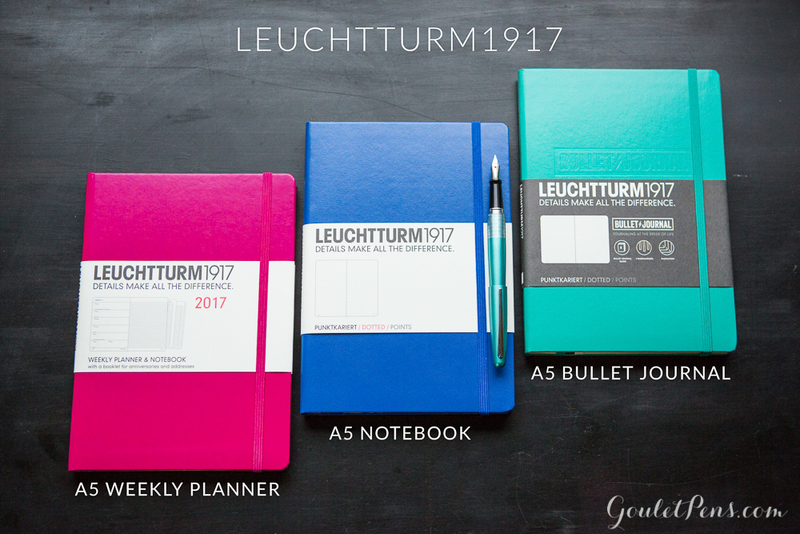 We currently offer them in 2 colors with dot grid and lined notebooks in four sizes, with blank and graph to come in June. 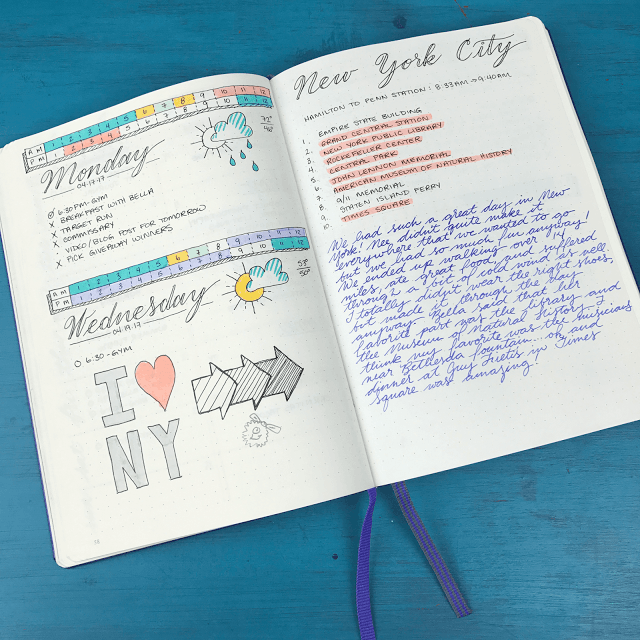 If you are wondering which notebook would fit best into your writing routine, here are some notebook comparisons to help you make your selection. If you want even more help, take a look at our handy Paper Infographic, perfect for deciphering numbered paper sizes. We basically went with the most common notebook sizes purchased so there would be a little bit of something for everyone! 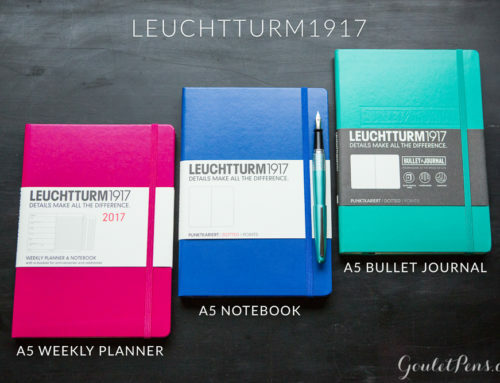 Goulet Notebook with Tomoé River paper is the same size as a Medium Leuchtturm1917 Notebook. 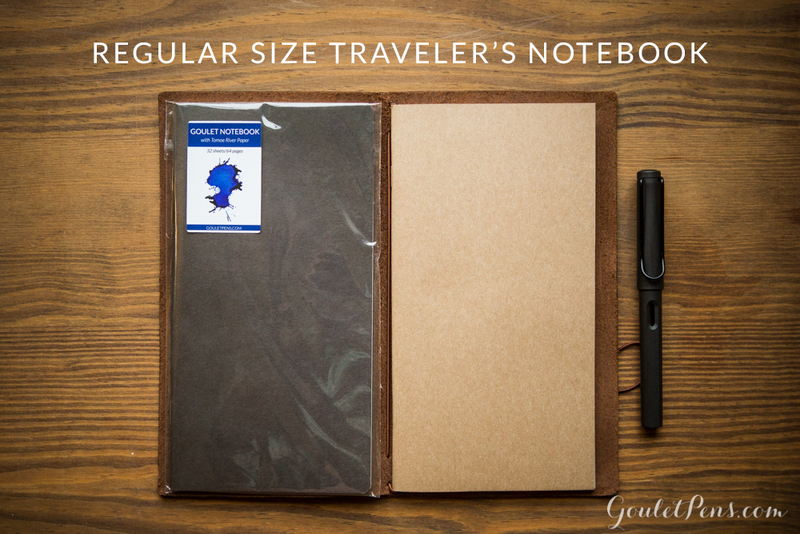 The Goulet Notebook with Tomoé River paper Regular TN fits in a regular size Traveler’s Notebook. 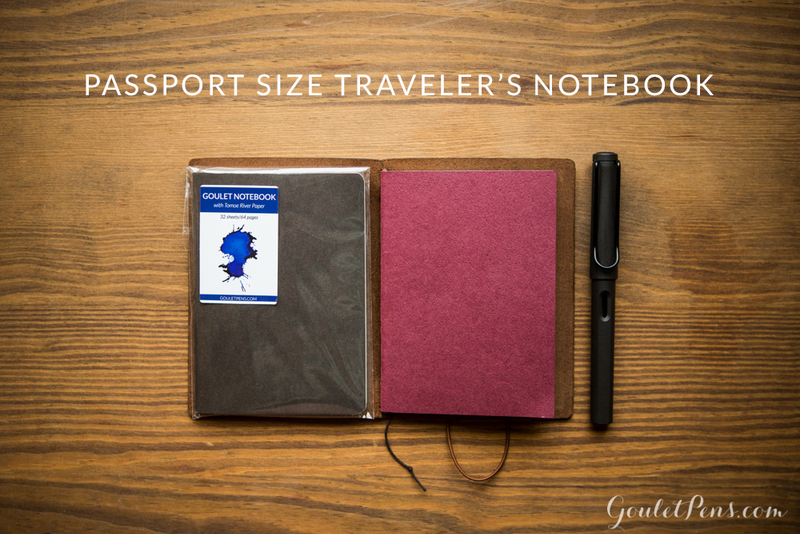 The Goulet Notebook with Tomoé River Passport Size fits the Traveler’s Notebook Passport. 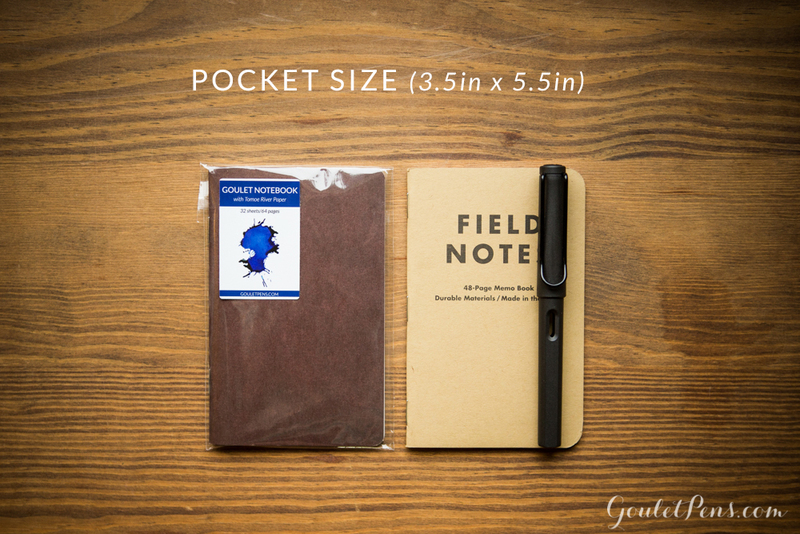 The Goulet Notebook with Tomoé River paper pocket size is the same size as a Field Notes Notebook. 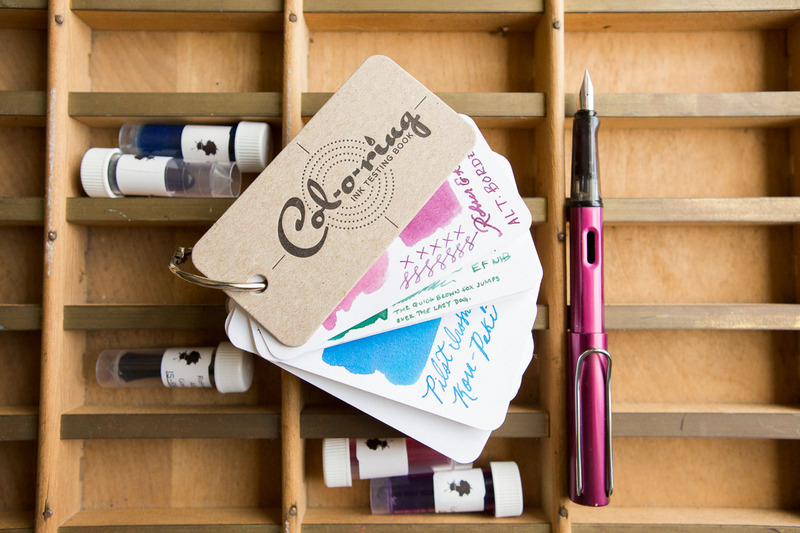 You can find each of these notebooks at Gouletpens.com for $5-$8 depending on the size of the notebook. 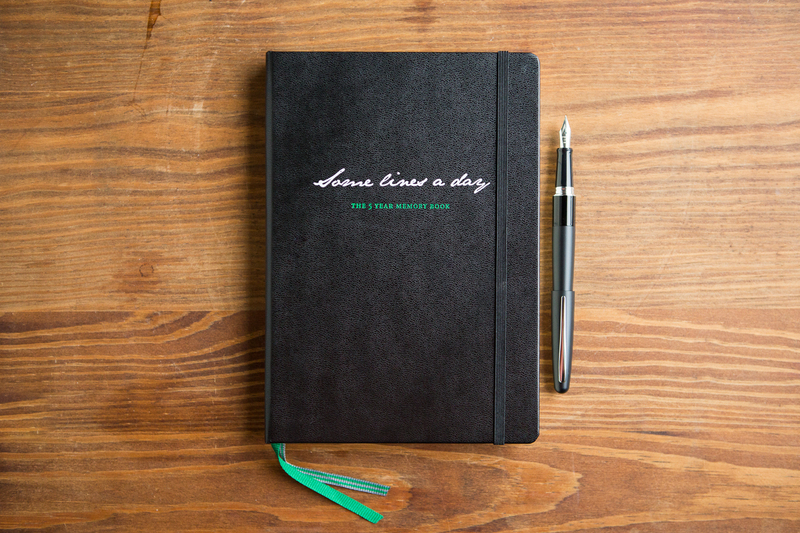 We’re currently sold out of the A5 size notebooks, but will be restocking in June. 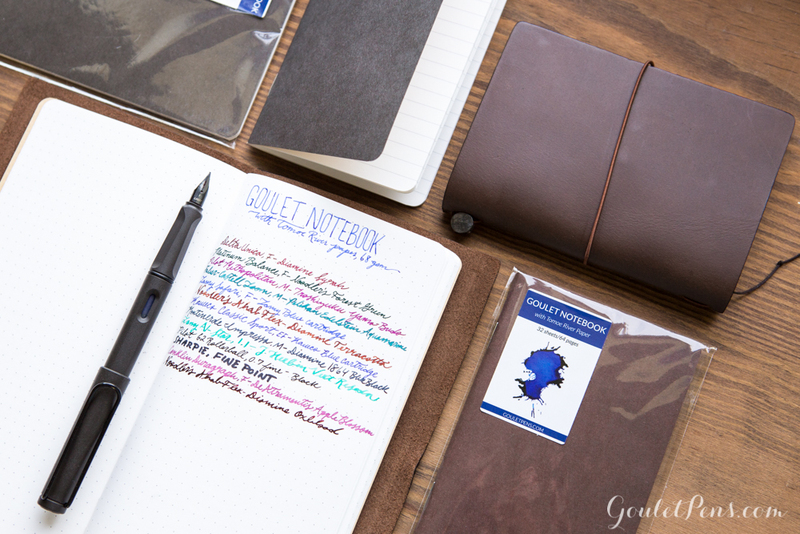 Do you like the new Goulet Notebooks? 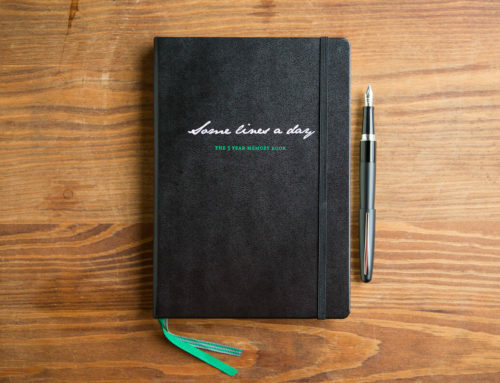 Are there other notebooks you’d like to see us carry?